I'm finalising the cars for this year's stand. We have room for 4 if not 5 cars. As always I look for cars that we haven't featured before to keep the line up fresh. So far I have an early yellow Beta Sedan, a silver HPE 2000ie and a black Volumex Coupe with Stratton bodykit. I'm hoping to finalise a Spider and another Coupe at the moment, so if you've got a Coupe or a Spider that you could display on the stand, please drop me a line. Our cars always attract a lot of attention and compliment the other Lancias on display on the main LMC and the Montecarlo Consortium stand. If you're planning on attending the show, please drop by and say hello! I will be there, sadly not with a Beta but I will be helping out on the stand for a couple of days (Fri & Sat.) and talking to the general public. Matt, I have finally decided to go on the Friday, so hope to meet you there and say hello. Happy to spend some time on the stand if that helps. Also for anyone going on the Friday where the tickets are non discountable, buying an auction catalogue for £40 from Silverstone Auctions gives you show access as well for both Friday and Saturday according to Silverstone when I rang them, hope this is correct as aim to buy one for the two of us going to the show! Will be going on the Friday and hope to meet up with some of the forum members. If I park in the NEC car park is it a walk to the show or do I have to take one of those shuttle buses? I usually walk because I cant be bothered queueing for the bus! I have booked Friday night 16th) in the local Travelodge, it's only 2.6 miles away from the NEC and £30 for the room. If your planning on staying up near the NEC, the hotel rooms are getting snapped up already! 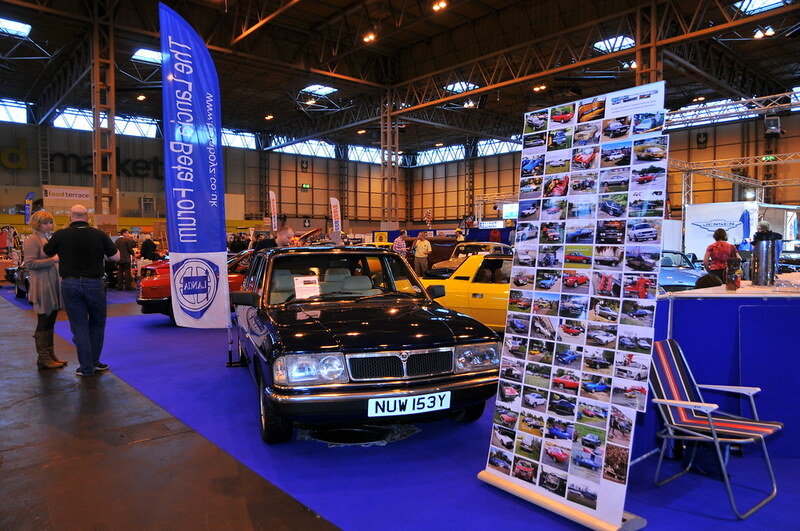 I will be at the NEC on Friday and Saturday morning up to 11am with the Monte Consortium and had to wait until now to book due to a minor operation on Saturday just gone. I have booked into the Coventry Hill House Hotel for £24 a night excluding breakfast (at the NEC) on late rooms. There is group of the Monte Consortium types in the hotel who will be going to the NEC each day. This is definitely not the Ritz but it is nearby. I will try to come long, probably on Friday or Saturday to say hello. Been too busy to do much on the coupe, but it looks pretty good now from a distance as long as you dont spot the missing exhaust! Just to say thanks for the hospitality given to me by everyone on the stand. First chance I have had to meet any of the Beta folk in the flesh so to speak and thoroughly enjoyed my time. 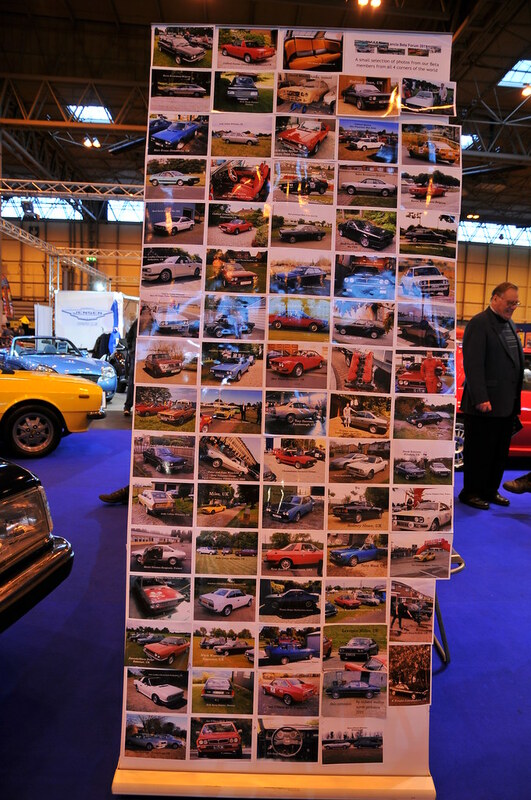 So, I spent Friday and Saturday (and my Dad also) helping out on the Lancia Beta Forum stand. As ever the cars on display were extremely well turned out and I was pleased that throughout the whole of Friday I only got positive responses from the public that stopped to chat. There were stories aplenty about ownership of a Beta or a relatives Beta from days gone by, and what a cracking car it was, this made the day pass very quickly. I got to meet up with some forum folks, Peter, Mark and Rachael - so I can now put faces to names, which is always good! 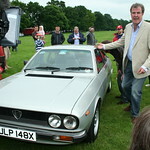 My Dad is not really a Lancia fan like I am, but he thoroughly enjoyed the show too. I'd just like to say my own personal "thank you's" especially to Mandy & Steve Dodge who did a lot of behind the scenes work that needs to be acknowledged, and the usual stalwarts....Tony Harrison, Andy Collins & John Bower for all their hard work that went into getting the LBF's attendance at the NEC show, plus not forgetting the owners that kindly lent their cars for display. Upholstery spray? Do tell more...! So used to refresh old chairs/carpets etc which have faded? Yes, or to completely change the colour. For colour change it works better when changing light to dark colours. Good to speak to you Tony, James and Lorenzo yesterday. Sorry couldn't stick around, so much to see. Must be best show ever for content: 12 Halls of it! The 'sprayed' parcel shelf looked excellent!